Hi friends! Today we are going to share you Whatsapp tricks. Hope you’ll enjoy it. We all know about Whatsapp. WhatsApp Messenger is the most convenient way of quickly sending messages on your mobile phone to any contact or friend on your contacts list. The only requirement is that the other people must have the app installed on their own device. Yes it is true. When the Whatsapp discover, WhatsApp was officially made available for PCs through a web client, under the name WhatsApp Web, in late January 2015 through an announcement made by Koum on his Facebook page. Currently, WhatsApp is compatible with just about all mobile operating systems on the market: Android, iOS, Symbian and Windows Phone. So this basically means you’ll be able to use WhatsApp to communicate with any friend, regardless of what model of device they have. On March 2, 2016, WhatsApp introduced its document-sharing feature, initially allowing users to share PDF files with their contacts. However, WhatsApp’s default state of automatically downloading attachments raised some concerns in the press about risk and security once support for document sharing expanded beyond PDF files. So let’s know about tricks. Suppose your going outside and that time you read a message. I mean, Ever been out and about, read a chat and then completely forgot to reply. Now what can you do ? 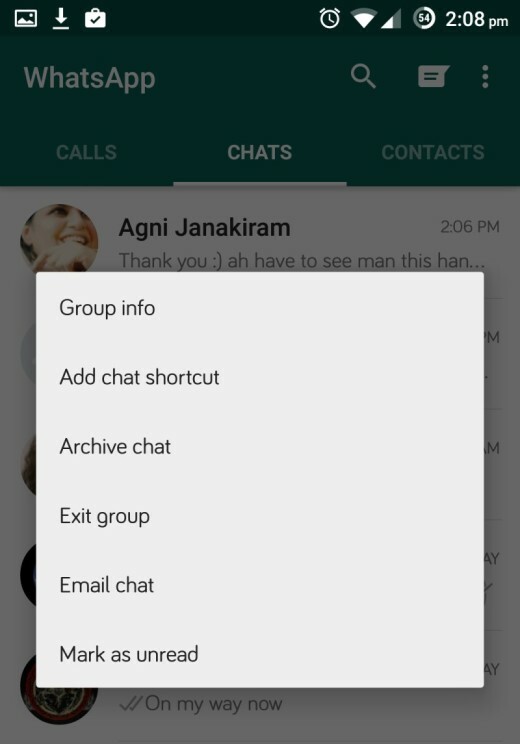 To solve this problem whatsapp has a way to mark important chats with dot to remind you to go back to it though. Now I’ll show your another trick. It is very essential for anybody. Sometimes you needed it badly. Cause we have many word which is more important to us then other. Sometimes certain words need to show more strong. 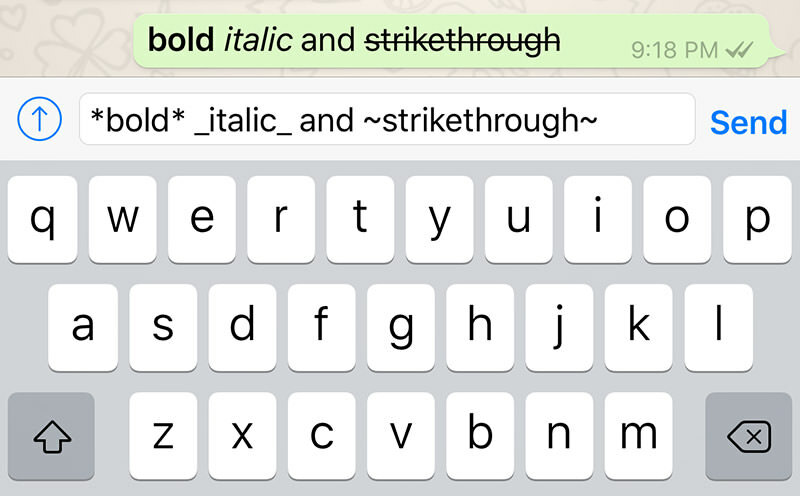 You can do it very easily that WhatsApp allows you to make whichever words you want bold, italic, or strikethrough them altogether. Bold. To bold a word or phrase simply add asterisk (*) before and after the specific words or phrases you want to embolden . Italic. To write on italic style Add an underscore (_) before and after your chosen words or phrases. strikethrough. To write as strikethrough Add a tilde (~) before and after the words or phrases you want to strike a line through. Whatsapp is a very popular chat app. Most of our people use it. Hope you enjoyed these tricks.